but that's okay. because sometimes you find them just when you need them. I don't know why but I needed to see this photograph today. 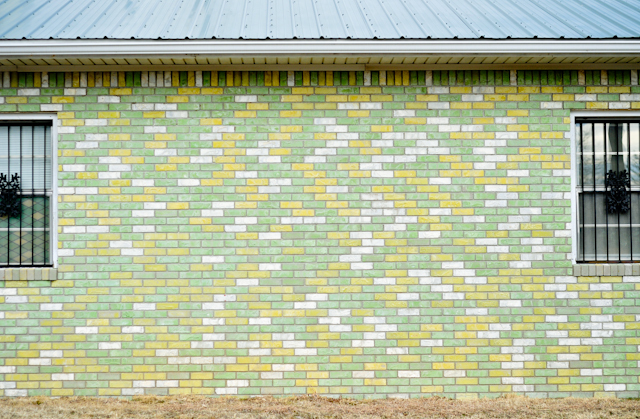 I needed to see all those little green and yellow bricks stacked just the way they are. I needed to remember that things usually come together just the way they're meant to. That color scheme and pattern... hypnotic. That pattern is really important. Is this in PDX? I haven't run into this wall before! Love it. I usually love my photos more when they're out of context.